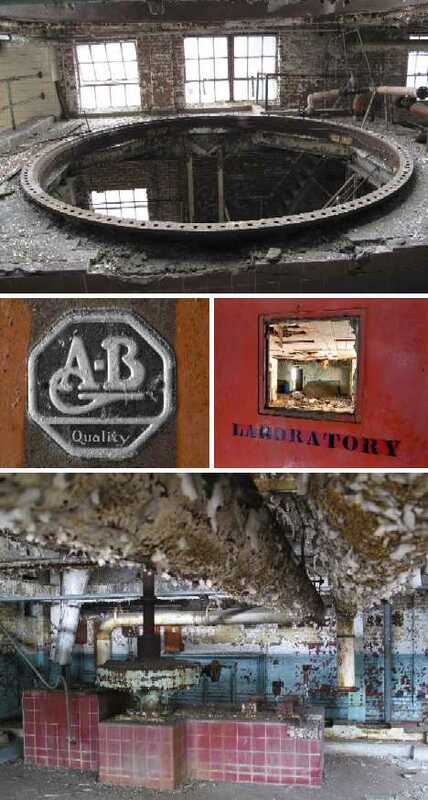 Debby Karalee of Lucent Moments discovered this delightfully spooky abandoned brewery and is to be thanked for authoring the images you see here. All we know about the building is that it’s somewhere in Maryland and evidently was owned by Anheuser-Busch… A-B for short. Nothing wrong with a little anonymity, the fewer graffiti artists who know its location, the better. And the hits just keep on coming… until they stop, that is. 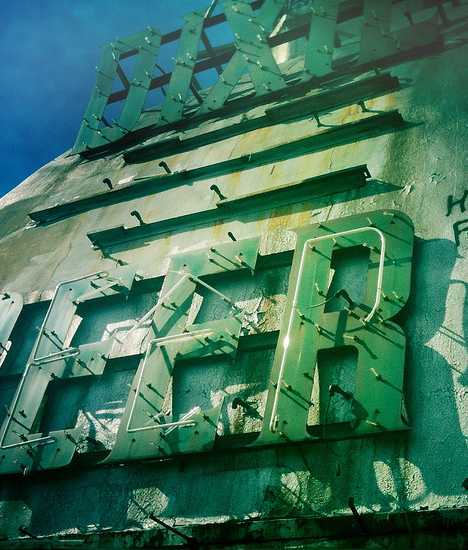 The abandoned brewery’s blase mid-century “style” isn’t anything to write home about but try to be kind: the lack or ornamentation was likely an architectural reaction to the overblown gingerbread that came before. To paraphrase Charlie the Tuna, people don’t want breweries with good taste, people want breweries that taste good! 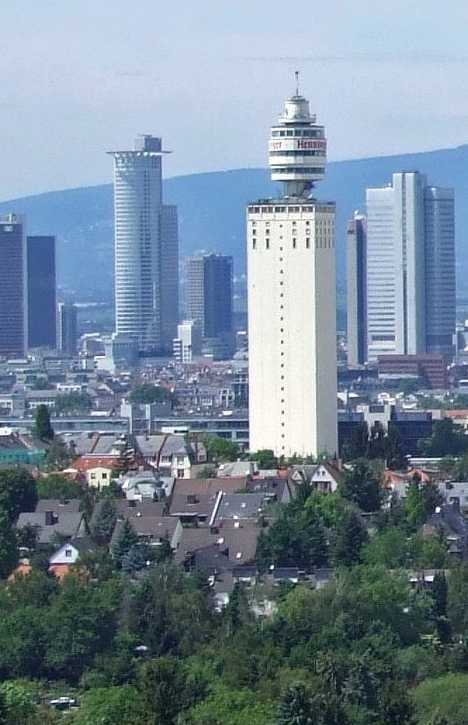 Frankfurt might lie at the heart of Germany’s economy but lurking in the heart of Frankfurt itself is an economic failure of towering proportions: the Henninger Tower, or Der Henninger-Turm in German. Built in 1959 and closed in late 2002, the tower was designed to store the Henninger Brewery’s grain in a space-saving fashion. A public viewing platform and a rotating restaurant topped the squarish structure. An architectural competition announced earlier this year was set up with the intention of finding some sustainable way to exploit the tower, now a city landmark, in some usable fashion. Tooth and Co. was a well-known brewer in New South Wales, Australia, active from 1835 until 1985. 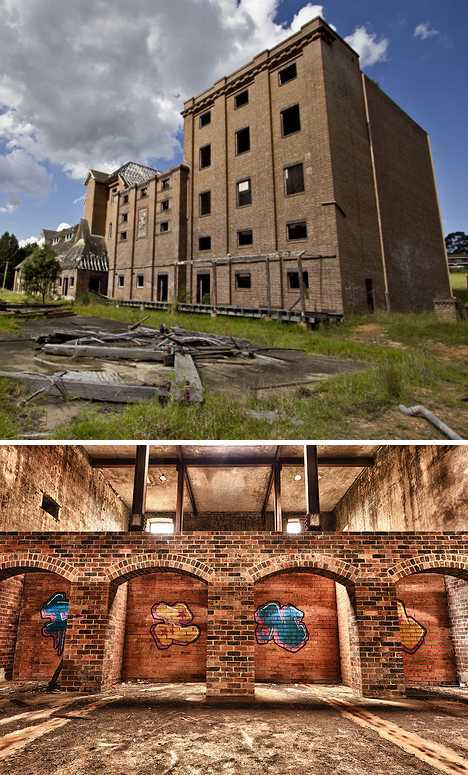 The now-abandoned The Maltings complex at Mittagong, built in 1899, was acquired by Tooth & Co. in 1905 and operated until its closing in 1980. 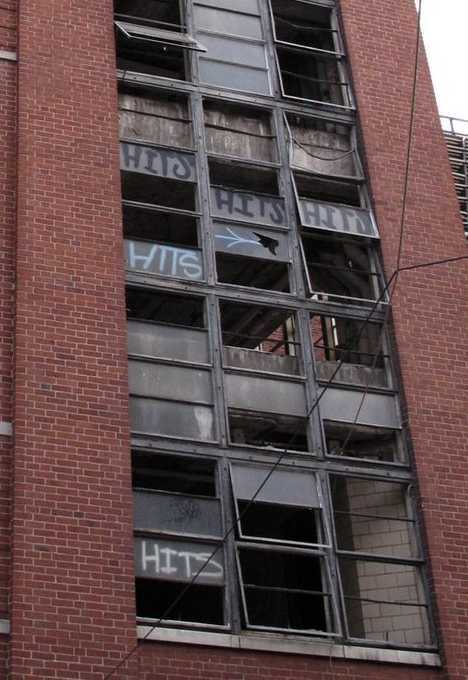 Owing to its proximity to Sydney, The Maltings has been frequently vandalized but it’s not quite close enough to be considered for an urban renewal project. 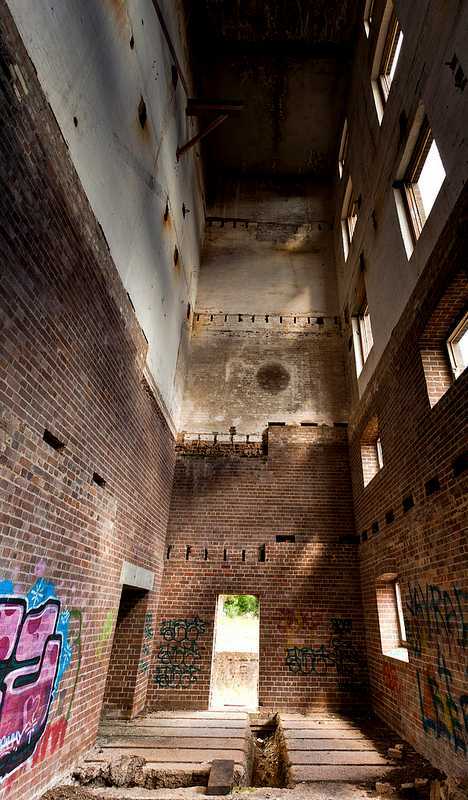 Tim Frawley of TakenByTim Photography has carefully teased the inner strength and elusive charm out of this basically utilitarian building, freezing it in time for future browsers to enjoy while the real life structure continues to molder away in real time. Abandoned breweries really stand out for a number of reasons: fermenting vats and kettles require big buildings to house them, as non-smokestack industrial plants they’re often sited in urban settings, and due to their unique designs they’re difficult to re-purpose when ownership goes belly up. This really isn’t such a bad thing but then, it all depends on whether one sees the beer glass as being half empty or half full.